Valerie Jackson is one of the founding members of the Association of Administrative Professionals New Zealand Inc. (AAPNZ) and is a Life Member. She has established herself at the leading edge of executive assistant/administration team development by designing and facilitating a range of training programmes in the public and private sector. Clients describe her facilitation as professional, challenging and highly participative. 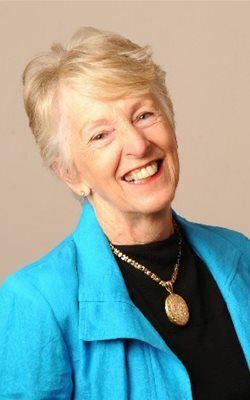 Seen regularly presenting and chairing at national and international conferences, Valerie is also well known for her coaching and mentoring services. Valerie’s passion for the profession started with her administration/office management roles in Yorkshire. With a love for travel she came to NZ for two years (it turned permanent!). Whilst working in office management she taught typewriting at evening classes and found her calling. She trained as a commercial teacher – merging her two passions – administration and teaching. Career milestones at Wellington Polytechnic include moving from tutor to course supervisor, and finally Head of Department. This role created opportunities for involvement in administration national curriculum development and qualifications. She was involved in the major change from shorthand and typewriting certificates – to qualifications on the national framework. Influencing a changing image for this profession is a deep interest she continues. Today’s business environment is an exciting sophisticated world – and the core heartbeat is still the administration team. AAPNZ (or NZSES originally) has been a part of Valerie’s life since 1972 when the Society was ‘born’ at Wellington Polytechnic and what a wonderful journey it continues to be. After the first group opened in Wellington, Auckland followed next. Over the years she has attended many new group inaugurations and follows group developments. She was on the National President’s committee to set up the first annual ‘Administrative Professional of the Year Award’ and was one of the judging team for its first three years. Valerie has facilitated workshops for many groups and remains an active member of Wellington Group. Valerie was on the first Wellington group committee, the first Education Sub-Committee and has attended innumerable AGMs and Conferences. She continues to coach and support ‘behind the scenes’ whenever possible. Unquestionably career highlights were facilitating at three International Summits for Administrative Professionals - Wellington, July 2000, Queensland Australia 2006, and Auckland in 2011. What a privilege to be part of our exciting international journey. “Stop thinking about retirement and Start Living”? She will continue to share knowledge and experience and have fun – until made to sit down and be quiet!